I spent the long Independence Day weekend volunteering at the USA Ultimate US Open, held in Raleigh, NC, this year. My main job was scorekeeper, though I also did some field setup. The hardest part was just standing in the sun all day, but that was better than rainstorms like we had before the tournament began. The volunteers kept the score and some basic stats, like which players scored or made turnovers. But some teams had their own stat-keepers using iPad apps that tracked every throw. The US Open is an invitation-only tournament of eight top teams in three divisions: Women's, Mixed and Men's, including some international teams. Team Colombia was fun to watch but hardest to keep stats for since their uniform numbers were small and at the bottom of their shirts, which were sometimes tucked in. I worked games in all three divisions. 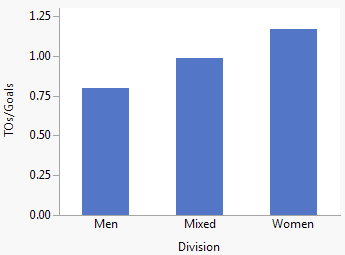 In my small sample, it seemed that play quality improved as I went from Women's to Mixed to Men's. 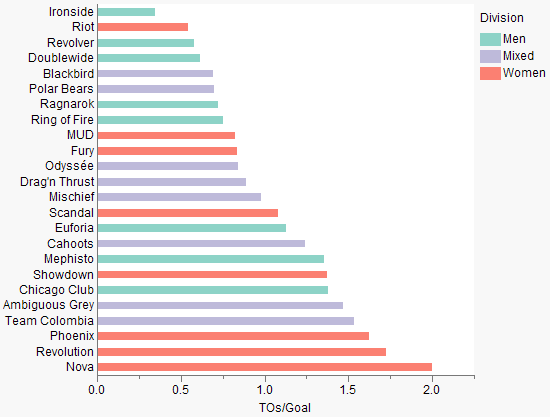 That guess is born out by a look at turnover-to-goal ratio from the US Open basic stats page. 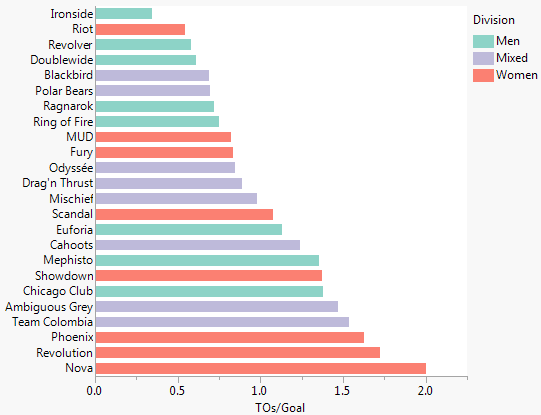 These stats are through pool play (before the semifinals), and interestingly none of the eventual winners (Revolver, Odyssée, and Fury) had the best TO/Goal ratios for their respective divisions. YouTube has some highlights, including the winning catch of the Men's finals.